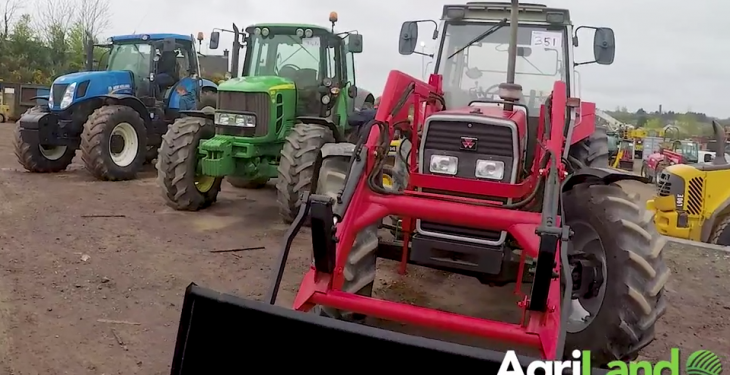 Well-known global auction company Euro Auctions sold a Massey Ferguson 399 complete with a Massey Ferguson 885E front loader for an impressive £21,000 (€25,000) at its recent auction in Dromore, Co. Tyrone. The tractor in question had an unbelievable 190 genuine hours on the clock. 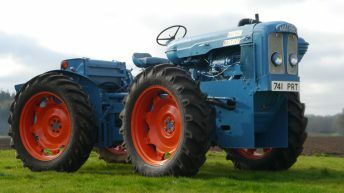 It is believed that the tractor was originally purchased new from local Massey Ferguson dealer William Bell Tractors. However, the owner sadly passed away soon after and the tractor sat in a shed for a number of years, until the family decided to engage Euro Auctions to find a new home for it. 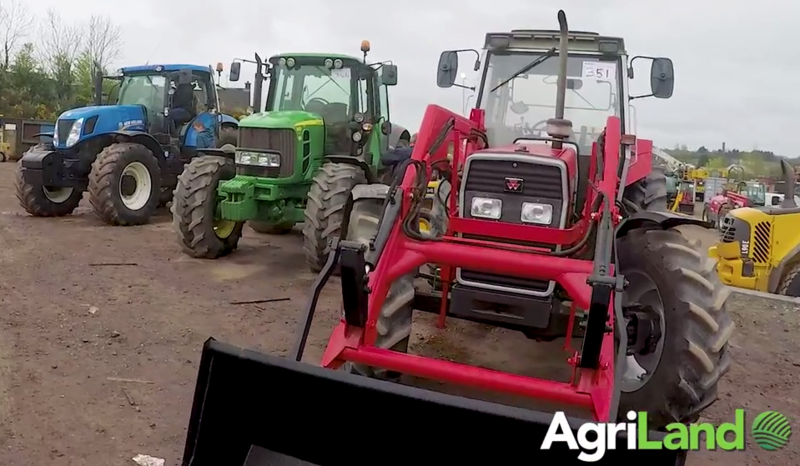 Naturally, the tractor attracted a lot of attention from potential buyers – with strong bidding evident on the day. The final hammer price achieved was £21,000 (€25,000). It is now destined for a new home with a private collector in Aberdeen, Scotland – who is believed to be originally from Co. Donegal. The video (below) provides a sample of the atmosphere at the auction (Friday, April 21). So how did Euro Auctions get started? Many years ago, the Keys brothers decided to hold an auction to sell used equipment they had in their yard. It was a one-day sale, in which they sold all the equipment on offer. Such was the success of the event that they decided that there was a business opportunity to be taken advantage of; that was essentially the birth of Euro Auctions. Founded in Dromore, Northern Ireland, the first official sale took place in 1998, during which 371 lots went under the hammer in front of 1,500 bidders. The year 2000 marked the company’s expansion into Britain, holding a sale in Wetherby. It featured Volvo dump trucks from the Far East. In 2002, a permanent site was purchased in Selby, Leeds. It played host to a successful inaugural auction consisting of 516 buyers, 83 sellers and 1,139 lots and a £7m (€8.3m) hammer total. 2006 was another milestone in the company’s history when it held its first auction outside the UK in Dormagen, Germany; it also achieved a €7m hammer total. The headquarters in Dromore underwent a facelift with a new auction house, featuring a covered and seated auditorium, in 2009. It was closely followed in 2010 by a new auction site in Valencia, Spain. In 2012 and 2013 Euro Auctions went global with a new auction site in Brisbane, Australia which hosts 4 auctions annually and Atlanta, USA which generated $4.3m (€3.9m) in its first sale. 2015 and 2016 were all about expansion yet again, with the sites in Spain and the UK growing – as well as the establishment of a new site in Houston, Texas. Today, the business hosts over 35 sales around the globe, in six countries, on three continents and sells over 60,000 pieces of equipment each year. The five Keys brothers are still very much involved in the business today and, most impressive of all, are renowned for knowing all their customers by name and always having time for a chat. So how do you actually buy at Euro Auctions? The first thing you will need to do is register in order to obtain a bidding number, which is essentially your ID. To obtain a bidding number, you will need to complete a registration form and pay a deposit, which is either offset against the machine you purchase or refunded if you do not buy anything. To bid on a machine you are interested in, you can simply make the ‘spotter’ aware by raising your hand when it is featured on the ramp and the bidding starts. Beware; the auctioneer will try to obtain the highest price for the machine so will start at a high initial price. Sit back and wait to make a bid; don’t rush in. Once you make a bid it is a binding contract and, in the event that someone else is also interested in the same machine, bidding will go up in increments until one person eventually wins out. It should be noted that a buyer’s commission of 2.5% is added to all hammer prices, as well as the local VAT rate (dependent on the auction site), which is charged on the total price (hammer price and buyer’s commission). Euro Auctions operates a no-reserve ‘American style’ auction, which means that whatever the machine makes on the day it will be sold at. Many potential bargains are to be had, as a result. The next Euro Auctions sale is on in Dormagen, Germany on May 3 and 4.